I got to visit the Salvador Dali exhibition today. Massive exhibit with a crowd to match – which seems odd as it’s been going a while and it was a Wednesday afternoon. Intriguing certainly. The guy was truly messed up on some levels but exceptionally clever. It freaks me out slightly that I felt some kind of affinity with his story and it interests me also that he wrote. 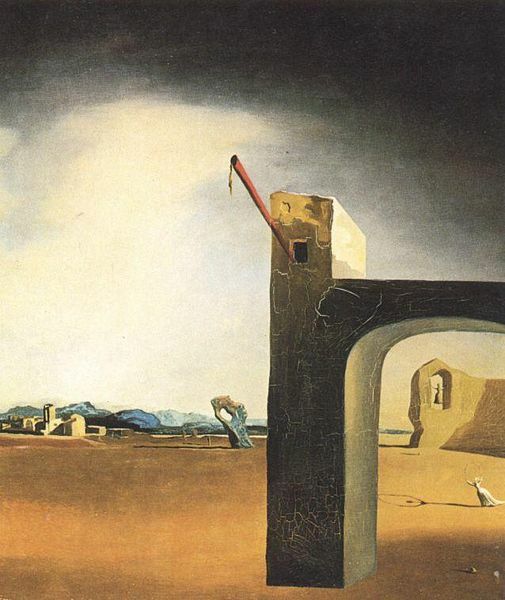 Dali is truly insane, utter genius in his exploration of such a wide variety of both medium and style. The lobster phone was sweet – but not so impressive in person, some of the jewelery very beautiful. So much conceptual work. The painting to the left: Morphological Echo was my favourite. I really love the repercussions through the image, the repetition, familiarity and yet there is still something disquieting. I recommend a visit should you be in Melbourne, also take the time to watch the short film that Walt Disney and Dali collaborated on, it’s beautiful, beautiful animation.